In 2016, Stewart Bronaugh and Joshua Jaeger, fresh from Angel Olsen‘s backing band, released one of the standout albums of the year, as Lionlimb. Shoo included the incredible single ‘Turnstile’ and ten other winners that amply demonstrated Lionlimb’s way with a melody, and a kind of melancholic, euphoric sound that was at once classic and original. Tape Recorder now arrives as the duo’s second record, and it represents something of a bold step, throwing out the successful formula from Shoo and instead recording six fairly long songs with live violin, cello and bass clarinet. Bronaugh scored the music by hand, looking to 70s minimalist composers for inspiration. The result is a beautiful set of songs, albeit nowhere near as immediate as that classic debut. If you enjoyed the stark minimalism of Plush‘s More You Becomes You, (and let’s face it, that’s surely virtually everyone), then this record might just be one that you can dive into and lose yourself in. ‘Clover’, with its unusual twists and turns, and really lovely use of the aforementioned stings and clarinet, sets the bar very high for the album, and encapsulates the very ‘live’ feel of the record. It’s an addictive track that bears repeated listens. ‘Maria’, apparently about Maria Goretti, one of the youngest saints to be canonized, is another beautifully realised piece, the most commercial track here and probably the one that might reasonably comfortably fit onto Shoo. The songs suit their production; simple, understated yet very effective, any urges to overdub or embellish needlessly are resisted. As a result, the collection sits together very coherently. Bronaugh’s fragile yet impassioned vocals sit centre stage on ‘Star Mangled’, the track building as it goes on, Jaeger’s drums fairly jump out of the speakers towards the end of the track, the second shortest at just 4 minutes and 44 seconds. The album’s title track again begins with vocals and live piano and is apparently about an incident from Bronaugh’s youth when a friend collapsed during gym class and went into a two-week-long coma. He and his classmates were then encouraged to record tapes of themselves singing songs to be played at his bedside; the track reflects the gravity of this situation, while simultaneously having those rays of hope and healing present. ‘Swallow’s Song‘ is actually quite upbeat, though its unusual chord sequences lend to it a slight discordance – the obvious progressions and paths are avoided throughout the album and it’s one of the things that is most attractive about it. Closing track ‘Velvet’ recalls Red House Painters‘ mellow side, again eschewing the expected and darting off in different directions as it works its way through. 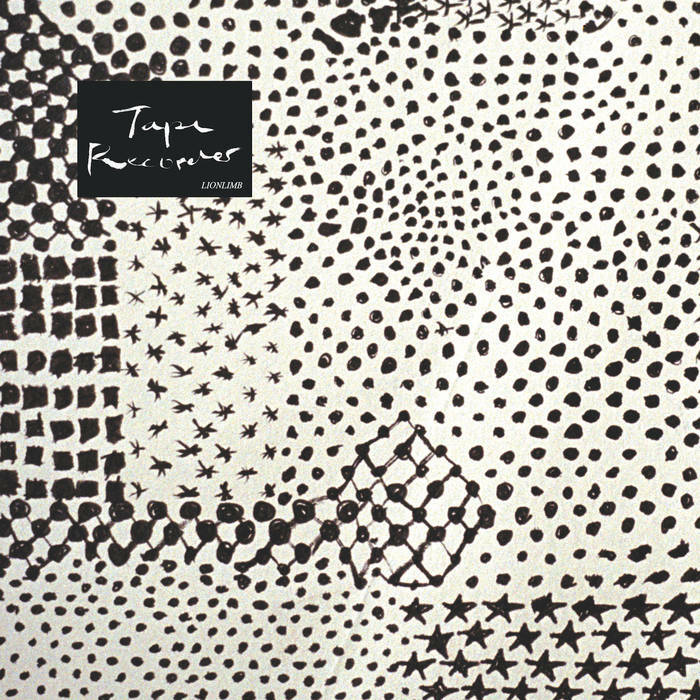 Tape Recorder is the work of a band not afraid to take risks and is a beautiful collection of songs that can confidently stand up next to that extraordinarily good debut. Tape Recorder is out now on Bayonet Records. I heard somebody mention the brilliance of Plush and got here as soon as I could.